Buying, or selling, a house in New Jersey can be a wonderful moment in your life. It can also be a nerve-wracking experience because real estate transactions are often incredibly complicated and involve numerous legal issues and technicalities that need to be worked out well in advance of closing. Even if you have negotiated with the seller (or buyer) and settled on a final price, you are still a long way from being finished with the transaction and closing on the home. That’s because the real estate contract you sign is going to bind you to certain terms. You do not want to be saddled with bad contract terms – or, worse yet, find out that you’ve been swindled. A realtor won’t be able to protect you when it comes to the real estate contract and the legal implications of your real estate transaction. If you are thinking about purchasing, or selling, a home in Camden County or anywhere else in NJ, it is imperative that you have a qualified real estate lawyer looking over your contract and protecting your rights. Moreover, your lawyer should have a wealth of experience with NJ real estate transactions and home closings so that they can identify potential problems or “tricky areas” in your real estate contract. A knowledgeable attorney can also make sure that you meet all the necessary deadlines for filing paperwork and processing payments, help you fulfill any other legal obligations you have as a result of the transaction, and answer any questions you might have about what will happen next in the process. The key is to speak with an attorney before you sign on the dotted line. 1. Specific state and local rules may apply. Each jurisdiction has unique rules and regulations when it comes to completing a real estate transaction. There may be zoning issues, special taxes, and specific procedures for your home sale or purchase, depending on the location of the home. 2. The property must be adequately described. Real estate contracts need to be very detailed and contain a full description of the property being sold. This goes well beyond merely listing the address of the property and often entails a legal description of the property boundaries in accordance with a land survey. 3. Changes to the contract must be agreed to in writing. It is not uncommon for at least one of the parties to a real estate transaction to make changes to the initial version of the contract. An experienced attorney can make sure that those changes are initialized or otherwise affirmed in writing by the other party. 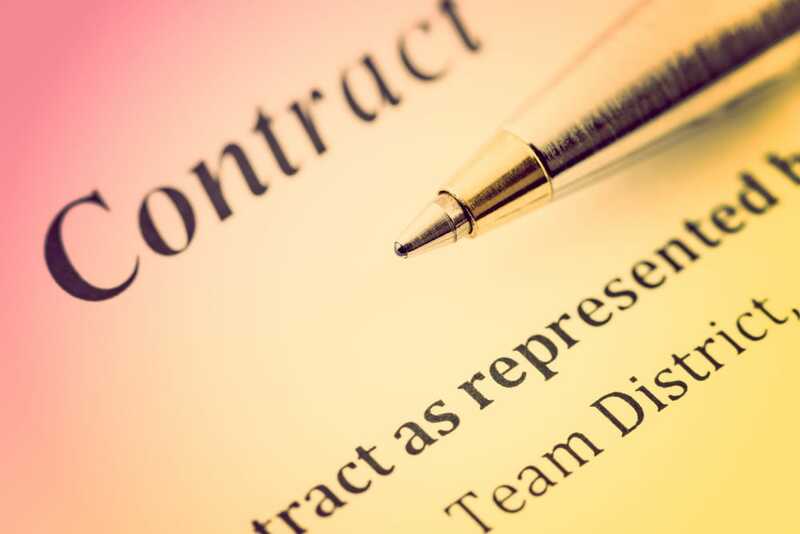 This is known in legal terms as a “meeting of the minds” – and a contract does not become legally binding until and unless both parties have clearly expressed a common understanding of the contract being signed. 4. All terms must be contained in the contract. Anything that has been agreed to verbally must also be put in writing. Whether this includes mortgage terms, home inspection contingencies, the payment schedule, or covering the costs of agreed-upon repairs to the property, everything needs to be included in the contract. The best way to ensure that your real estate contract is sound and that your transaction goes smoothly is to have a qualified real estate attorney on your side throughout the process. Joel R. Spivack, Esq., is an experienced real estate lawyer who can help you with any legal issues that might arise during the home purchasing or home selling processes. Contact Mr. Spivack today to schedule a free initial consultation.